Pedal, walk, nosh, and sip your way through 300 years of Beaufort’s history. Open Year-Round, 7 Days A Week! 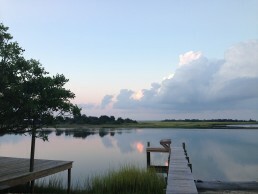 Experience Beaufort, NC with our award-winning guided tours. Our walking tours and culinary tours are available rain or shine! Want to book a tour, but our times don't quite fit your vacation schedule? You pick the day and time. Beaufort is a great place to ride a bicycle and you can rent a bicycle from Hungry Town Tours. Give us a call for advance reservations. Our gift certificates are great for any occasion! Birthdays, anniversaries, and holiday gifts. Perfect for any tour or available in any amount. 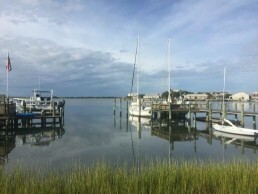 Discover the historic homes in Beaufort that once belonged to the town’s earliest sea captains, seafarers, and merchants. Stroll leisurely down the tree-lined streets as your local guide tells you about Beaufort’s past. The Beaufort historic district was placed on the National Register of Historic Places in 1974. It’s an easy walking tour for people of all ages. Ride off from our beautiful waterfront and make your way through the Beaufort historic district while your local guide reveals a side of history you won’t get anywhere else. On this bicycle tour, you’ll get an insider’s perspective on where the locals go to eat and play. 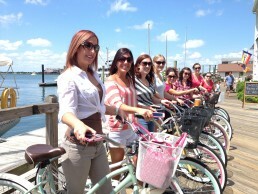 Our most popular bike tour! A Ride to Remember features places in Beaufort that were inspired by New York Times best-selling author Nicholas Sparks and referenced in his books, “The Choice” and “A Walk to Remember.” This bicycle tour serves as a memorable way for people to get to know Beaufort, as visitors take in the unique setting for the story of each novel. Hungry Town Tours works in partnership with the Nicholas Sparks Foundation. 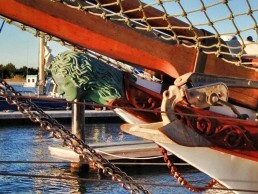 Enjoy the lure of the sea and the wonderful stories of confederate spies, pirates, privateers, seafarers and star-crossed lovers that make up the rich history of this seaport town. From tales about the pirate Blackbeard to the girl buried in the rum barrel, you’ll hear about the military war hero’s and early sea captains that became historic legends. Blackbeard’s 300th anniversary took place in 2018. Advance Reservations Only. Get an early start on your day with our early morning tour. Enjoy the sights, sounds and smells of our seaport town as we pedal down the tree-lined streets and past the historic homes and buildings. Advance Reservations Only. Getting married on the Crystal Coast? 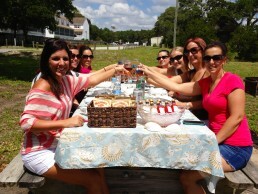 Hungry Town Tours offers a unique outing for your bridal party. You can book any one of our tours for your group outing even just the bicycle tour without food options. We can also customize one for your event. Call to arrange your tour. 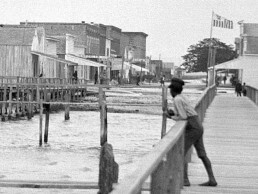 Prior to 1800, the black population in the Town of Beaufort consisted entirely of slaves. The labor performed by these slaves made it possible for Beaufort to exist during the difficult settlement of the town. Learn about the fascinating story of African Americans and their significant contributions to Beaufort’s own “Union Town” neighborhood. Projected date: Fall 2019. 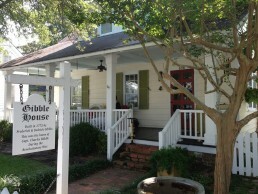 (Photo courtesy of the Beaufort Historic Association). We’ll pedal through the historic streets, stopping at several of the best local culinary treasures. Inside, you’ll nosh and sip on some of the most delicious flavors on the Crystal Coast. 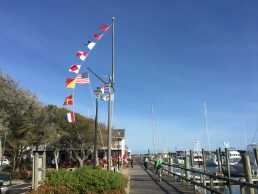 You’ll taste the best restaurants in Beaufort in one trip – and when you come back for lunch or dinner, you’ll know exactly where to go! Featured on North Carolina Weekend – UNC TV. We’ll take a leisure walk through the historic streets, stopping at several of the best local culinary treasures. Inside, you’ll nosh and sip on some of the most delicious flavors on the Crystal Coast. You’ll taste the best restaurants in Beaufort in one trip – and when you come back for lunch or dinner, you’ll know exactly where to go! This is a walking version of the Beaufort Culinary Bike Tour. Enjoy Sunday Brunch at Beaufort Grocery Company, one of the regions’s most renowned dining establishments. You’ll choose your entrée from a number of culinary features including a mimosa or Bloody Mary, and other non-alcoholic beverages. 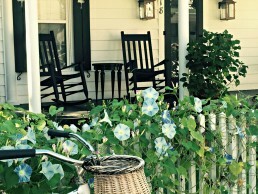 We’ll also take a bicycle tour through Beaufort’s historic district and along the waterfront. Enjoy Sunday Brunch at Beaufort Grocery Company, one of the region’s most renowned dining establishments. You’ll choose your entrée from several culinary features including a mimosa or Bloody Mary, and other non-alcoholic beverages. We’ll also take a leisurely walking tour through Beaufort’s historic district and along the waterfront. This tour is a walking version of Bike, Brunch & Bubbles. In addition to the Hidden Beaufort Tour, you’ll enjoy a picnic lunch provided by Beaufort Grocery Company, one of the region’s most renowned restaurants. From the cloth napkins to hand-painted artisan wine glasses, it all makes for the perfect afternoon in Beaufort. 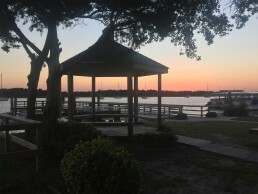 The location on the Beaufort waterfront is ideal for that special outing! You’ll pre-order your menu selections and we’ll have everything ready for you when you arrive at your destination by bike. Something new is brewing in Beaufort! Here’s your chance to sample a few great beers from across the state. We’ll take cruiser bicycles through Historic Beaufort as we sample craft beer at brew pubs along the way. Tours de Beers is not a race. 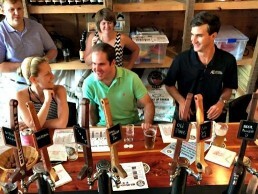 Everyone is a winner as we explore America’s Favorite Town in search of North Carolina craft beers. Projected date: Spring 2019. Enjoy North Carolina’s ‘Treasure of the Sea.’ Enjoy delicious samplings where the main dish is fresh local shrimp! 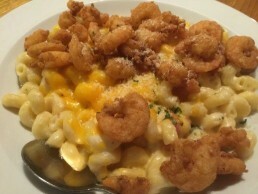 Your guide will share stories about Beaufort’s history, as you see the many ways that shrimp is prepared. 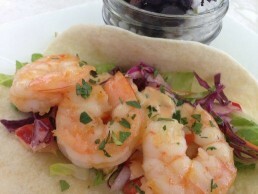 You’ll also receive recipes paired with oils and vinegar to create their own shrimp dishes at home. Each couple takes home one dozen local shrimp from a local fish market. Sample North Carolina’s Jewel of the Sea! 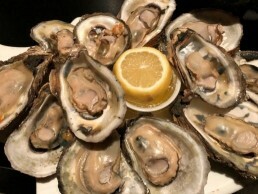 Enjoy delicious samplings where the main dish is fresh local oysters! You’ll receive recipes paired with oils and vinegars to create their own oyster dishes at home. Each couple takes home one dozen local Cedar Island Select Oysters from a local fish market. 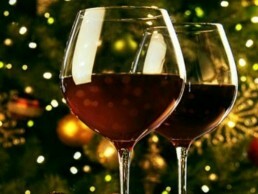 Join Hungry Town Tours for the 2019 holiday season! See why Coastal Living magazine named Beaufort one of “America’s 10 Best Beach Towns for Christmas.” You’ll make five culinary stops including three restaurants, holiday wine tasting, and olive oil pairings at a chef-inspired kitchen store. Participants receive a hand-decorated gingerbread man. Enjoy a leisurely stroll through Beaufort’s historic district with your guide to see some of the beautiful homes with festive holiday decorations. 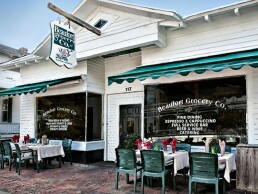 Then, you’ll have Sunday Brunch at Beaufort Grocery Company, one of the region’s most renowned dining establishments. 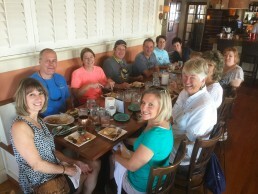 Hungry Town Tours offers custom tours for groups. 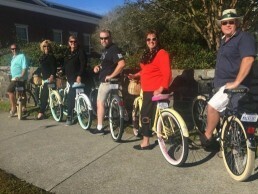 From girlfriend getaways and family reunions to group outings and corporate team building, we can tailor a walking, bike or culinary tour of Beaufort, North Carolina to meet the needs of your group. We also offer custom tours for smaller groups. Tours can be customized with or without food options.